AstralPool is proud to announce their latest most technologically advanced, innovative range of robotic pool cleaners. From the floor only cleaner RF model, to the flagship RPT Plus with remote control, all bases will be covered with a variety of new and updated features such as the built in Aquasmart and GYRO systems, and the new innovative mechanical swivel system that prevents cord tangling. These robotic cleaners are perfect for all types of pool shapes, sizes and surfaces. 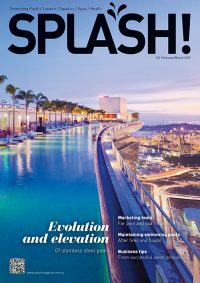 AstralPool robotic cleaners make pool cleaning easier and efficient. Aquasmart is a patented algorithm by Astralpool which instructs the robot what to do. It is the brain of AstralPool robotic cleaners and can cover the pool surface to minimise the potential of floating cable entanglement. Gyro is a smart navigation system. It can sense all the movements in 3 dimensions by using a 3 axis sensor and is equipped with an accelerometer that informs if the robotic cleaner is moving. This guarantees pools are thoroughly cleaned during each cycle by avoiding all types of obstacles, even avoiding the power cable from getting tangled. Mechanical Swivel system assists in preventing the cable from getting stuck and twisting on itself. Leading robotic pool cleaners with top access for effortless cleaning. 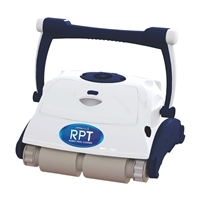 RPT Robotic Pool Cleaner units includes the caddy and remote control.